So, You’ve Filed for Divorce. What’s Next? Going through a divorce, whether you were the one who wanted it or not, can be a scary and difficult time. It can be even worse if you have no idea what is going to happen. Because of this, it is important that you know what happens during (and after) a divorce. Here are some things that you need to know about. Here at Split Simple, we start by offering a free phone consultation. During this time, we will talk to both partners to help us determine what fixed pricing plan is right for you. At this time, we will also set up your first mediation session, finding a time and place that works for everyone. Before your mediation session happens, we will provide you with some paperwork to help us prepare for our session. We will give you a checklist which includes topics that we need to discuss, along with some important documents that you will need to provide. We will also have you complete a financial questionnaire. By going through this process and filling out the paperwork, we can save you up to an hour of mediation. This also saves you money. Then, we will start the real work with mediation sessions that last around two hours. During this time, a mediator will help you divide up your assets and debts. If children are involved, you will also discuss child custody, support, and even parenting changes that will need to happen. We will also use this time to talk to you about your finances after the divorce so that you can start planning for your future. Once each session is completed, you will get a copy of what was discussed during that time. When everything is settled, you will have a "Separation Agreement" and "Parenting Plan," if needed. We will go through all of your documents before you sign them to make them official. Alimony payments, which are also called spousal support, might be something that you have to consider when you are going through a divorce. If you earned more money than your spouse, there is a good chance that you are going to have to pay alimony. However, if you both make about the same amount of money, alimony might not be an issue. It also might not be required if your marriage was a short one. Alimony is normally paid monthly for a reasonable amount of time. This can last several years, though if there are financial changes, it might have to be revisited. 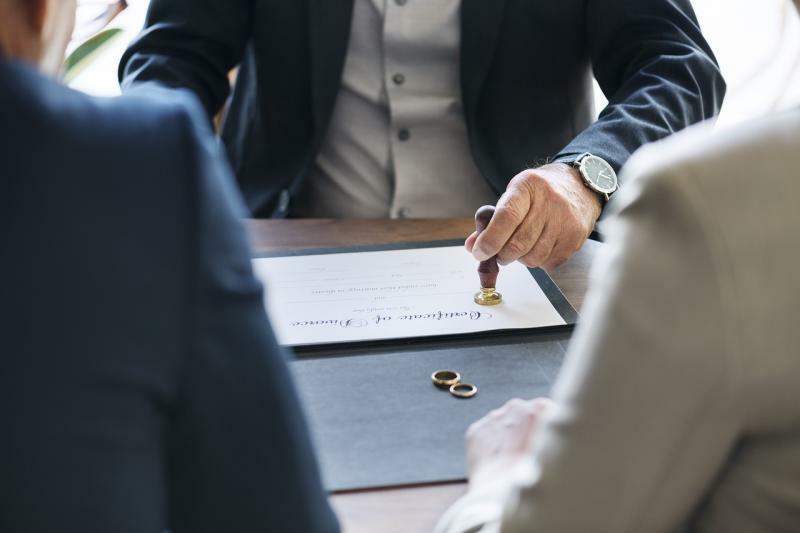 If you get a better (or worse) job, retire, or one of you gets remarried, you might be able to make some changes to your alimony. Just like child support, you can take legal action if your spouse refuses to pay your alimony. Some time in jail may just show him or her that alimony is serious business and needs to be paid. As a parent, the hardest part of getting divorced includes deciding what is best for your children. This can also be called a parenting plan and it includes custody, visitation, and child support. It also includes how you are going to work together to make decisions about your children, both now and in the future. It is important when coming up with a parenting plan and deciding about child custody and visitation to really think about your children. Though you may feel like you are losing your children, the truth may be that your spouse is better able to care for them on a regular basis. You have to figure out what is in their best interests, not yours. Once child custody is determined, then you need to discuss child support. It is important to know that under our state law, children are entitled to get financial support from both parents. Though many feel like child support is a punishment, the truth is that it costs a lot of money to raise children. Usually, one parent can't support a child on his or her own. Because of this, if you are required to pay child support, you should. It is not money for your spouse. It is for your children. In Illinois, there are guidelines to help determine how much child support is needed. The parent will end up paying a certain percentage of their net income. With one child, it is around twenty percent. The more children you have, the more you have to pay. If you have six or more children, half of your income will go toward child support. Child support typically stops when a child turns eighteen. When one (or both) spouses own a business, the Chicago divorce mediation can get a little more complicated. If you own the business, you have put in all of the work and you may not feel like you need to share in the profits that you have worked so hard for. What happens if you worked hard together to build your business? Your mediator will be quite helpful during the division of your business. However, before you get started, you are going to need to be able to know your business's assets (and debts) so that it can be divided fairly. Make sure that you get all of your documents together as quickly as possible. Don't try to hide anything. Be honest and work with your mediator to make sure that both parties can find a solution that works for everyone. Retirement accounts should be taken into consideration during a divorce. Even if they are only in one name (as most are), they should still be divided during Chicago divorce mediation. Because there are so many different types of retirement accounts and investments, it is important to talk to them with your mediator. He or she will be able to discuss your options, including liquidation, to make sure that both parties are going to be able to retire the way that they have been planning to. Since divorce can be so hard, it is important to have an experienced lawyer on your side. He or she will help you through the process and fight for you, especially when it seems like no one else is there for you. Don't hesitate to contact Split Simple today for Chicago divorce mediation to help you get through this difficult time. Previous Post « Uncontested Divorce: Do You Have to Use a Mediator in Chicago?